Lenovo is all set to launch X2 and Z2 Pro in India on September 30. This got unleashed by observing the teaser poster rolled out by Lenovo. This new teaser poster shows the rear panel loaded with its incredible camera. 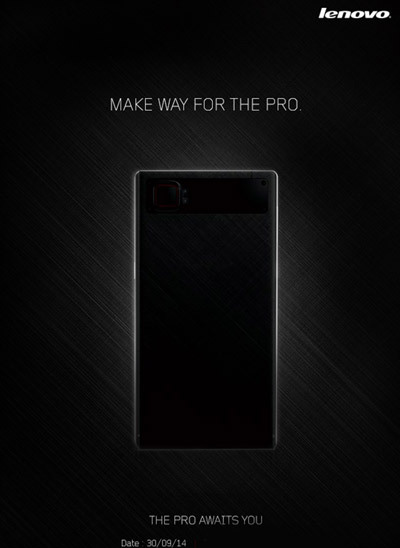 It says MAKE WAY FOR THE PRO and you already know what “PRO” actually means. This upcoming event will put in New Delhi on 30/09/2014. Although this teaser doesn’t show two different devices but the earlier listing of Lenovo X2 on official Indian website do add its release to the very same date. Let’s check their specs.